Hey y'all! 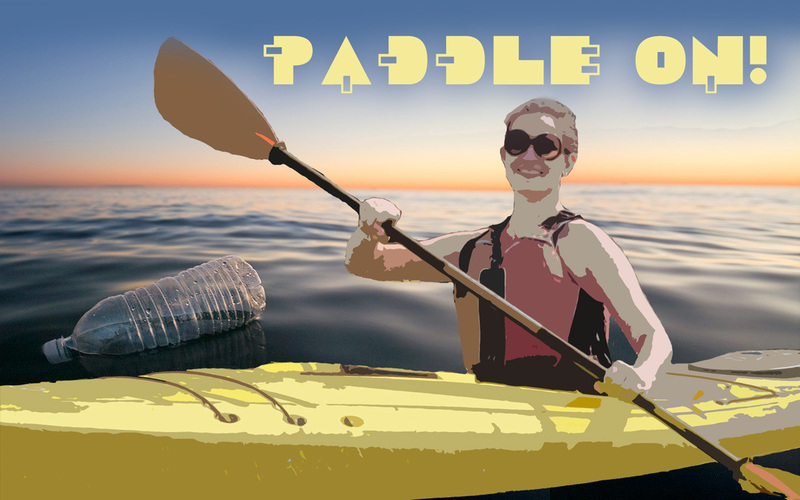 The archives are here for you to enjoy, but please join us for continued paddling news stories, oceans plastics info and reminiscing of the Paddle On expedition. Link here. Ways to be excellent guests: it should go without saying, but leave a house better than you found it. You may bring in sandy piles of gear, but when you leave, make sure you take everything with you, and that you clean your space up. Offer to do dishes or sweep/vacuum the floor or whatever chore you like best. River Rats should not be thought of by River Angels as free maids, but a good guest is one that people would be delighted to have back again sometime in the future. The most you can offer, though, is to tell your stories. 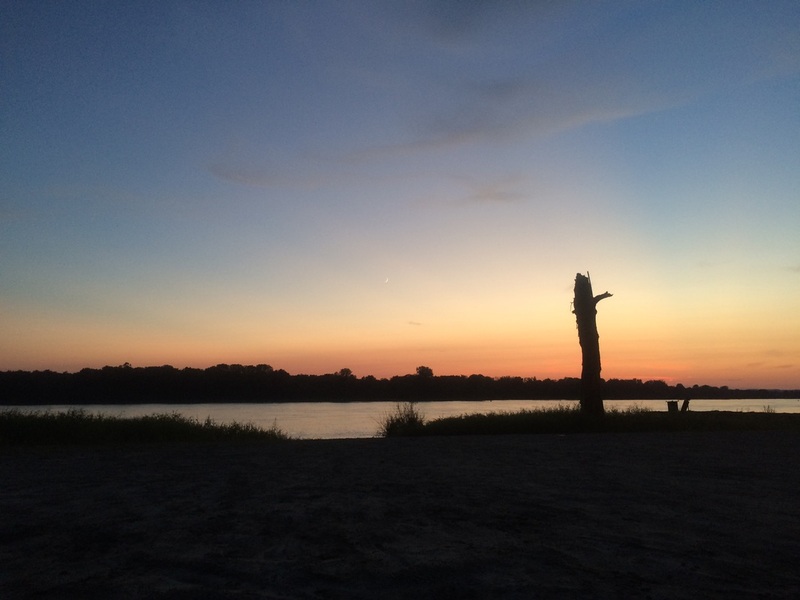 What you’re doing is, to a River Angel, usually either unthinkable and exotic (they want to hear all the nitty gritty to hear what it’s like to live on a river), or something that they’re very familiar with themselves (they want to commiserate/connect with you about the experience). It can be really exhausting to tell the same stories over and over, but I promise it’s totally worth it. River Angels are people you have the opportunity to stay in contact with for the rest of your lives if you treat the relationship with dignity and gratitude. Carving some of your precious rest time out for conversation, you will find, is WELL worth the sacrifice of a bit of sleep! None of these are expected. Anything you are able to provide is SUPER appreciated. The smallest thing is enough! Even if you offer and a river rat doesn’t take you up on your offer, know that your generosity is still accepted with gratitude, even without literal acceptance. 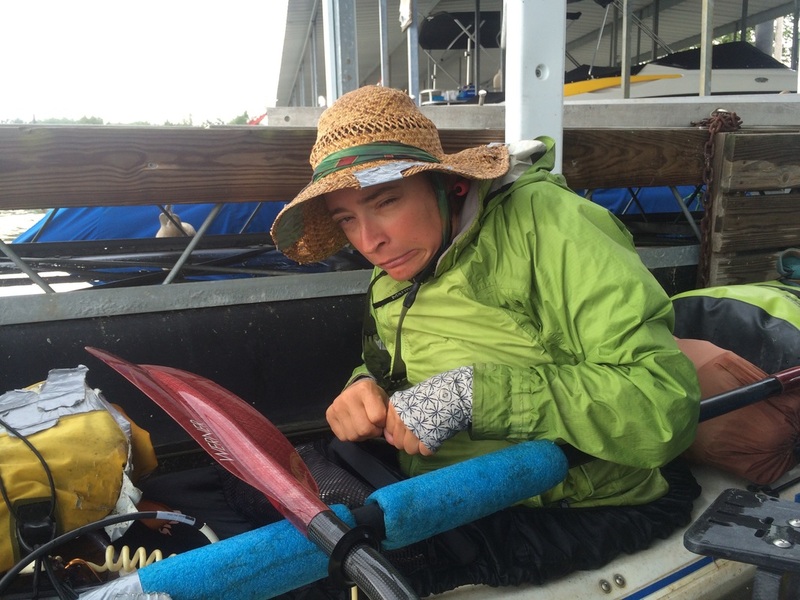 If you end up hosting a River Rat, remember that your river rat is exhausted because he/she has been paddling many hours a day for days, weeks, even months at a time. 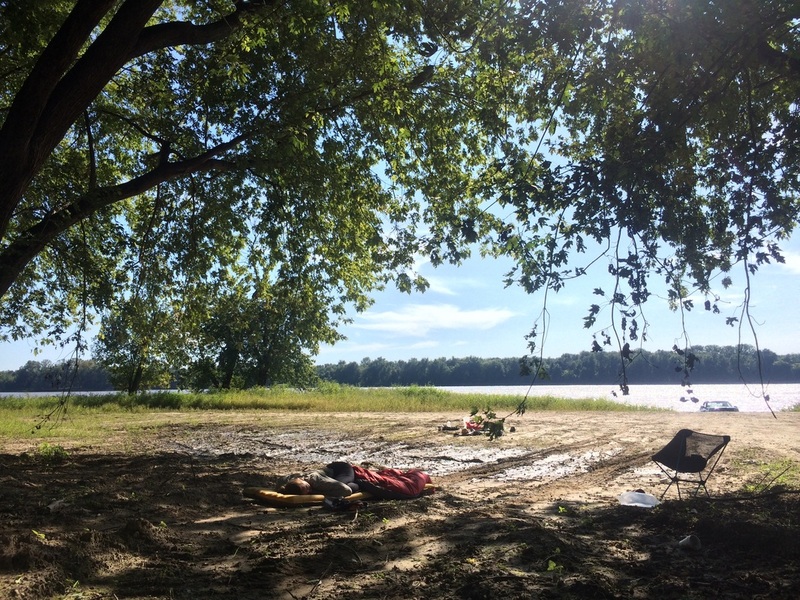 When they are not paddling, they are setting up/taking down camp, and generally trying to keep the encroaching entropy that is nature from engulfing them (wind, mud, mosquitos, rain, etc). They might seem lazy to you, but they are working HARD out there on the river, and the opportunity to take a breather is one we relish! Please understand that if your River Rat goes to bed early, it’s not because they don’t want to talk with you—it’s because they are exhausted. And GRATEFUL. With that in mind…don’t offer to let us stay more than one night unless you mean it. We’ll probably take you up on it ;) Finally, you’re probably interested in the adventure your River Rat is undertaking, but meeting YOU is a big part of what makes his/her adventure interesting! Don’t forget to share YOUR life, YOUR hobbies and YOUR town. 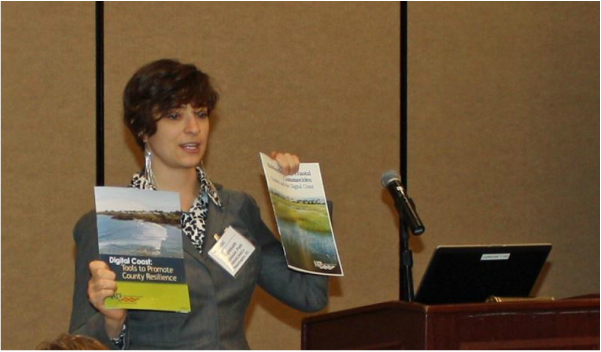 Photo from Coastal Caucus presentation at the National States Geographic Information Council annual meeting in 2014. March 31-April 2 Wisconsin Lakes Partnership Conference. Keynote speaker. University of Wisconsin, Stevens Point, WI. April 20-23 Middlebury Institute of International Studies at Monterey's Earth Week. Keynote speaker. MIIS, Monterey, CA. April 28 Public Library. Free community lecture. Lexington, KY.
April 30 Gaines Center Reunion. Honorary speaker. University of Kentucky, Lexington, KY.
Aug 9 Public Library. Free community lecture. Grand Rapids, MN. Sept 22 National Association for Interpretation Region 2 Workshop. Honorary speaker. Berkeley Springs, WV. Oct 10 Water Week. Honorary speaker. University of Kentucky, Lexington, KY. This is my drowned rat look. 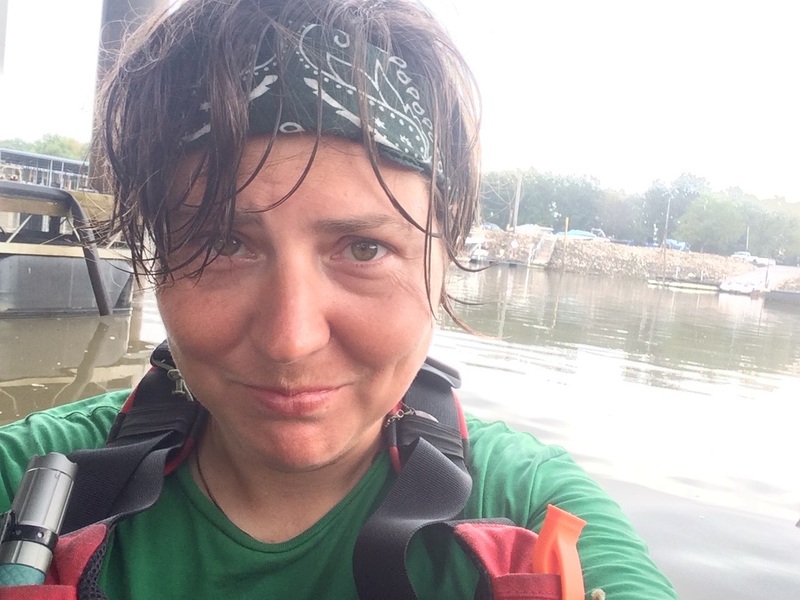 When you're out there on the water, getting soaked, there's something about that that makes me cringe, hunch over to try to stay dry, and paddle in really tiny strokes because I'm just so miserable. We waited for the morning thunderstorms to pass, and although it thundered, it never rained, so we opted for getting on the river since we had a long way to go before we got to Alton. Once on the river, we dodged multiple rainstorms and thunderstorms. We alternated with getting drenched, trying to pull over, stopping at a marina to dry out, still getting wet, and so on. The video below is an accurate reenactment. 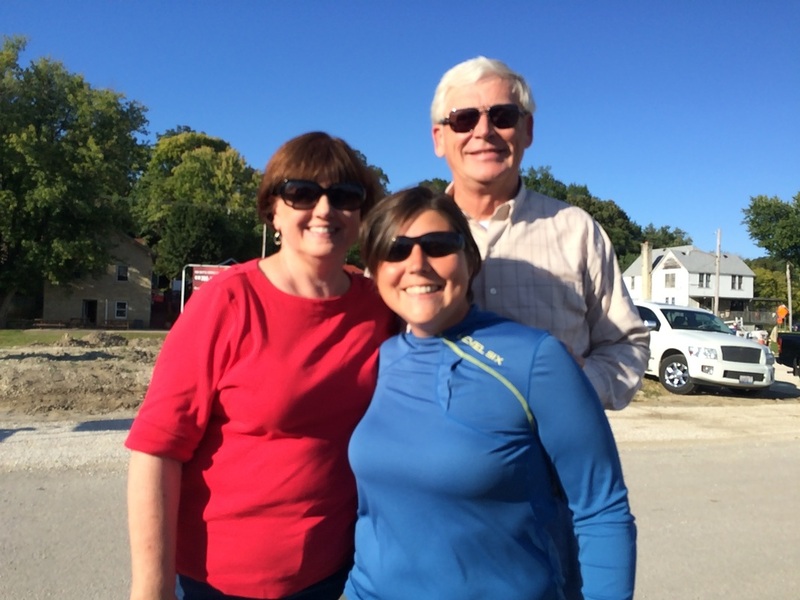 In Grafton, IL, we decided we wouldn't be able to make it all the way to Alton, and so we stopped at the marina there where we paid to leave our boats for the weekend while we played in O'Fallon, IL with Leanne's Uncle Mark and Aunt Karen and in St. Louis with Nick and Jeff. 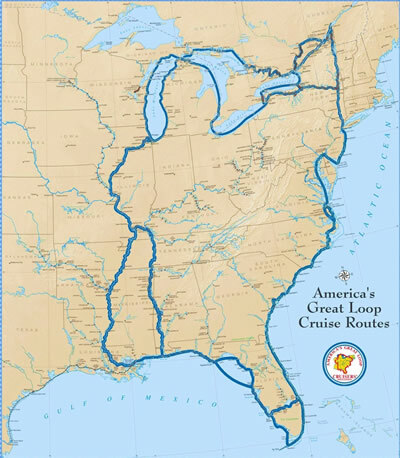 At both marinas, we were introduced to the "loopers"--folks who, usually on large motor vessels, travel a huge circumnavigation of the eastern United States. We spoke for quite a while with several--all were agog at our journey. Particularly, the sailors-turned-motorers who acknowledged that the reason they decided to do their journey in a motor vessel rather than a sailboat is because so often they end up motoring in a sailboat anyway, and when they're sailing or motoring in a sailboat, they go slow enough that they may as well be paddling! Their dry indoor cabins with electric looked mighty enticing...but I did not envy what their boats and fuel must cost! Leanne's drowned rat face. But she's also cracking up at me under it. 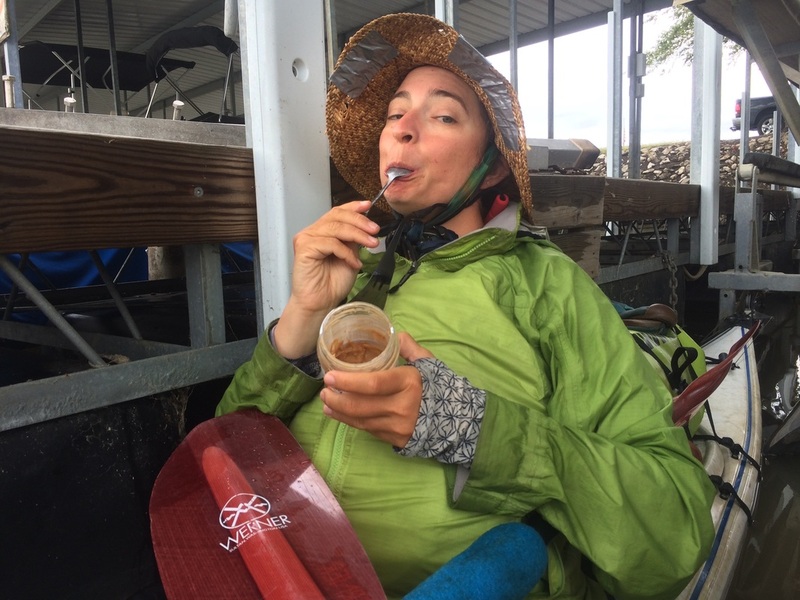 As we wait for the shower to pass, I eat my peanut butter. Dry(ish) and filled with peanut butter, things are pretty good. Karen, Mark and Leanne!! Thank you for having us!!!! The "loopers" journey. But they've got motors, mostly. Sounds pretty good to me. "on and sometimes in" ...When buildings are built on the riverbanks, they often show flood levels marked on their walls. This was a new one. Another windy day. Jake and Julie left in the early afternoon, and Leanne and I stayed to rest and work until 4pm. 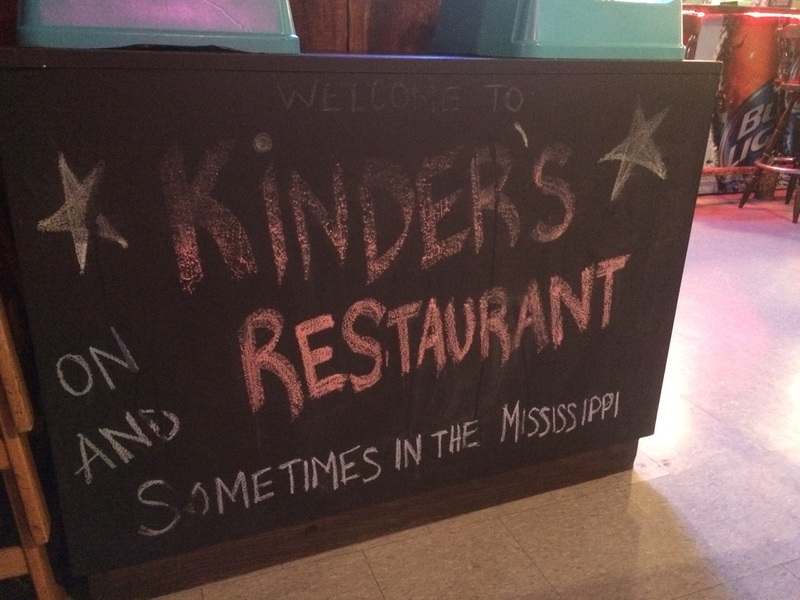 We headed down the river, and found Kinder's Restaurant just before it closed. We had a quick bite to eat there, and camped on the other side of the river at Riverside Harbor dock because Leanne had a nasty migraine. We slept on the dock, but as rain came through, we pulled our sleeping bags up to the picnic area and slept on the concrete there. 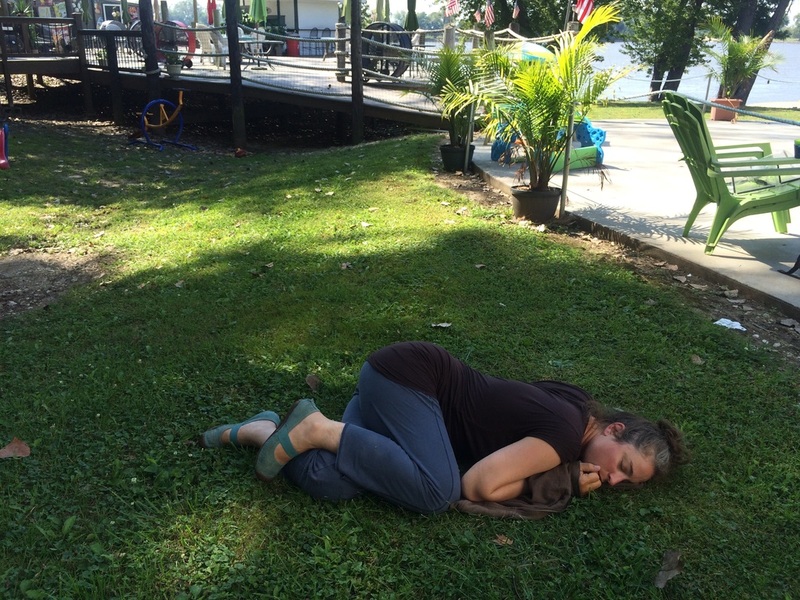 Not only do I not have a phone anymore, but my sleeping pad deflated for the first time on the dock at Cedar Hill, and so sleeping on the dock and then concrete at Riverside was not exactly comfortable. We are hoping to get down to Alton Illinois tomorrow where Leanne's uncle will pick us up. My boyfriend, Nick, is in St. Louis this weekend visiting his friend Jeff and I'm really excited to see him. Leanne's been pushing hard with me to make sure we don't miss this date. 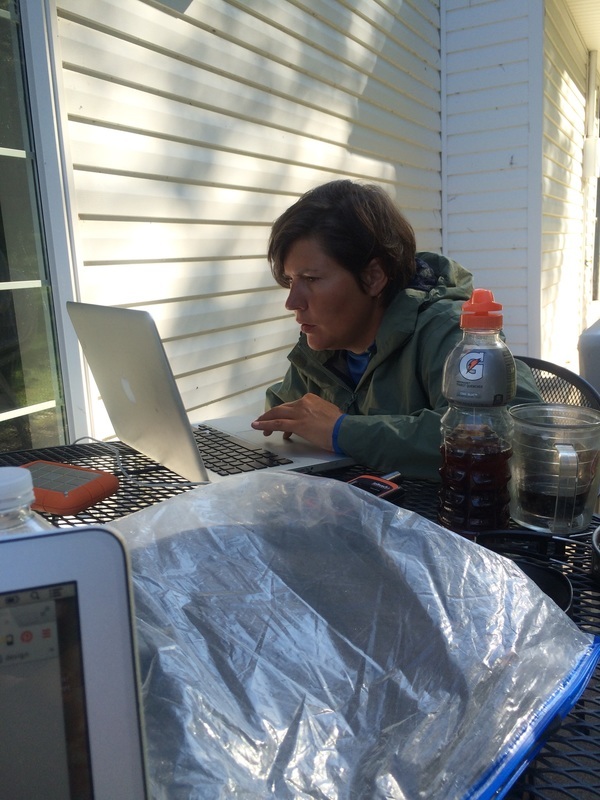 Leanne organized an on-the-river graphic design job, so she got right to it and started working on it at Cedar Hill. Me, sliding off my mat in the foreground--my first cowboy camping experience. Jake and Julie's tent in the background. Photo by Leanne Davis. 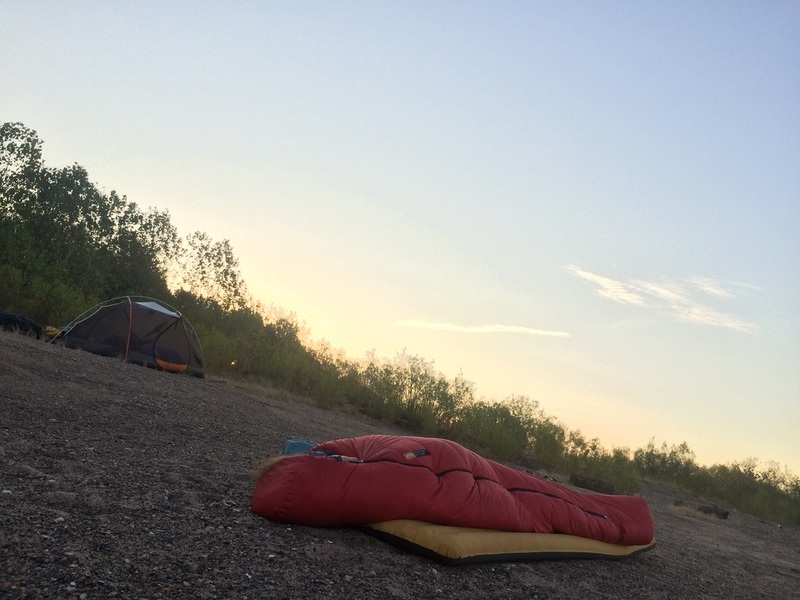 ​I was surprised that I enjoyed sleeping out in the open with just my inflatable mattress and sleeping bag. I was also surprised that no bugs bothered me! Leanne woke up at 5, but there was already a barge going through lock 24, so we had to wait til 7 to get started. 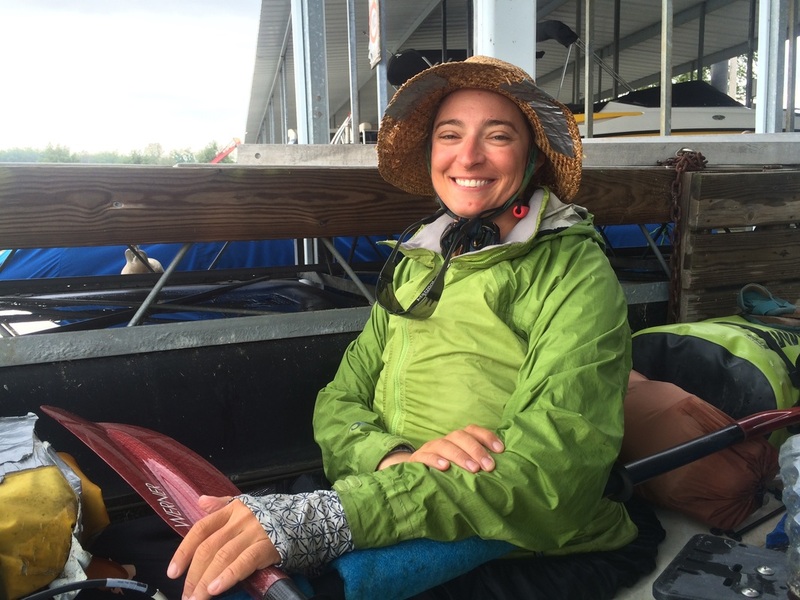 We packed up camp with Jake and Julie, paddled across the pool to the entrance of the lock together. J & J stopped in a town and Leanne and I paddled on for several hours, stopping for a midday lunch at Rip Rap landing in Illinois. J & J paddled past us and didn’t see me wave them down. There was a concrete outhouse at the landing, but when I opened the door, the floor was caked in more than a foot of mud, and a ton of trash (another photo I am sad to have lost). Clearly, the parks department forgot about cleaning this location out when it flooded last time. 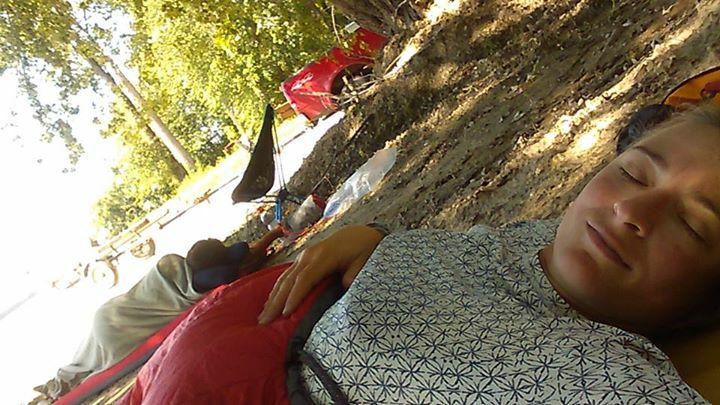 I cooked some warm lunch and we took a nap under the trees. Our nap lasted longer than expected, and we were enjoying just relaxing at this spot after so many days of weird schedules, so we decided to stay the night there, too. So it was a short day, just 10 miles of paddling. In the evening, my phone stopped working. I have been really good about keeping it dry, so I think it was just the end of its life—it was booting and rebooting itself without ever letting me access anything on it. One of my absolute pet peeves is how ‘disposable’ cellphones are. I hate that I have to get a new one so frequently. I hate that they don’t last six years or more. I hate that in order to stay current and on top of news/peoples’ lives/etc. it’s basically a requirement to have one at all. I love what my smartphone allows me to do, I just hate that it’s not something that LASTS. I worry about all the minerals mined that go into making each phone. I worry about all the electronic waste and plastic that goes into making each phone. I get seriously stressed out and anxious having to choose the ‘right’ phone that will fit my budget, allow me to do everything I need it to do, not be extravagant, and last as long as possible.